Elegant, feather light and laser accurate, the GS 772-4 is the small stream angler’s ultimate dry fly rod. This model is equipped with a slide band over cork reel seat. Somehow, the GS 772-4 feels even lighter than the G2 772-4. These short graphite rods are a real challenge for the rod designer, because there is less overall contact between the rod and fly line, and inherently diminished “feel.” The GS 772-4 is more finely tuned to its line. We can feel every inch flexing under the line’s weight. The GS 772-4 requires an extra short casting stroke at 10-15 feet. The rod feels much “tippier” than an equivalent F2 model, for comparision. 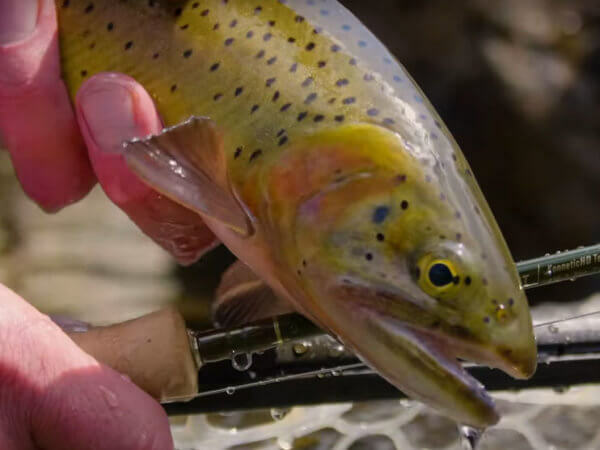 A short stroke will turn over your leader beautifully, however, and as the caster works out a longer line, the rod feels wonderfully “springy” through the mid section. 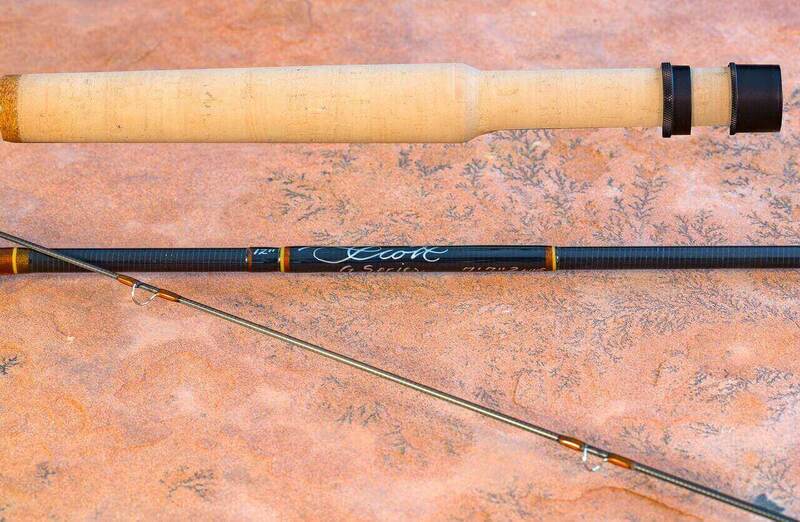 Any 2-weight fly line will pair nicely on this rod. What a lovely casting little 2 weight. I tend to shy away from shorter graphite rods as I think they tend to feel a little clubby. This rod has changed my opinion. The GS 772 casts neatly off the tip in close with expected accuracy but much more feeling than I anticipated. The recovery speed of the rod is so precise that you think this is a faster rod until you get some line out. When you do, you are welcomed with a smooth, stable, sit back and let the line unroll joy ride. This is a smile on your face while casting kind of rod.